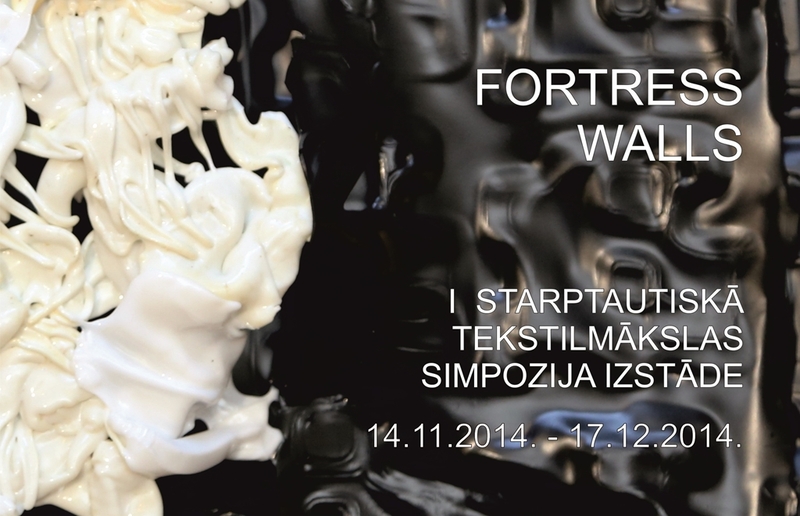 “Fortress Walls” is the first International Textile Art Symposium held in Daugavpils Mark Rothko Art Centre. Artists, participating in the Symposium, were asked to create unique textile art miniatures, drawing their inspiration from the architecture of the Daugavpils fortress, from its atmosphere and relief. The specific fortress atmosphere creates the world of colors and a unique atmosphere on the banks of the river Daugava, besides, miniature as the genre of art is an entirely complicated task. It requires from the artist considerable skills: in a very limited space, to balance and combine both the conception conceived by the author and the use of the techniques imposed by the materials. At creating their works, artists used various textile and fiber materials: from the traditional materials to different synthetic and natural ones. Nine artists participated in the Textile Art Symposium “Fortress Walls”: Raija Jokinen (Finland), Liudmila Vasileva (Russia), Helen Saether (Norway), Ane Vik Eines (Norway), Peteris Sidars (Latvia), Kristine Sile (Latvia), Iveta Laure (Latvia), Andra Kurzemniece (Latvia), Jolanta Savvina (Latvia).